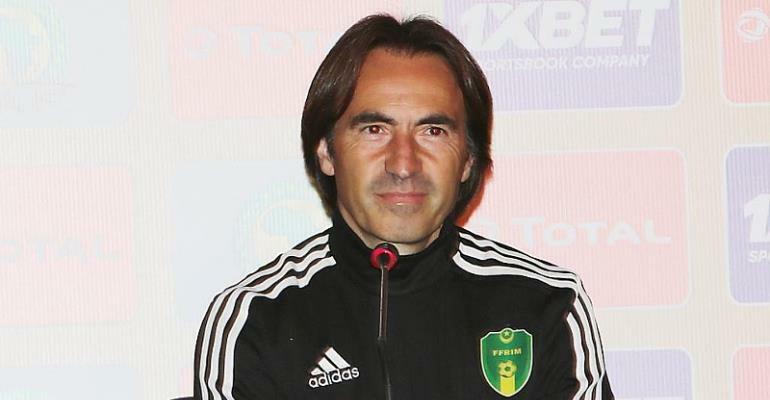 Corentin Martins, head coach of Mauritania has insisted that he has not bothered being pitted against Ghana at the Africa Cup of Nations in Egypt in June. His comments emerge after his side were humbled by Black Stars at the Accra Sports Stadium on Tuesday by 3:1 in a friendly match. Al-Murabitun are set to make their debut at the continental championship, having beaten 2013 runners-up Burkina Faso and Botswana to finish second in qualifying Group I. “I wouldn’t mind [meeting Ghana at the tournament]," Martins told GTV Sports Plus. "Ghana is a good footballing nation, I saw them when I came with my team for the WAFU Cup of Nations [last year]. “They are a very great side and have achieved a lot in football. The final draw for the 2019 Afcon is slated for April 12. The tournament, the 32nd edition, is scheduled to run between June 21 and July 19.